Often people don’t even realize how much nearby is the stunning performance of the furnishings. Old chairs, tables, a chest of drawers, an old sofa or an armchair, left as a legacy or bought for a penny, never fit into the interior of a modern apartment, so they often become a burden and go to the country. At the same time, a relatively simple alteration of old furniture, which on the strength you need a couple of days off, will return to the rarities of the former brilliance and beauty. If, of course, to know how to handle such objects. 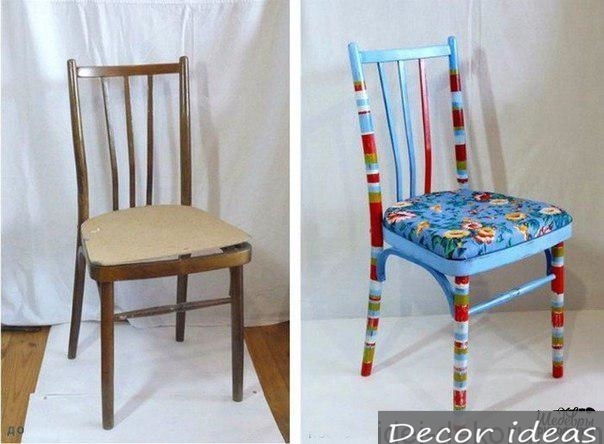 What can be done with old furniture? – Complete rework of old things. From old tables, chairs, chests of drawers, cabinets are stored only frames and drawers, everything else is radically subject to processing into stylish and modern furniture. Any work on the restoration and alteration of old interior requires a separate dry and well-ventilated area where the wood can be varnished and dried without the risk of harm to the health of households. Important! The most difficult stage is the hauling of upholstered furniture, upholstery chairs, sofas, Ottomans. Such work is best left to an experienced master. The simplest version of the alteration of furniture is known to almost everyone. This plywood surface of old cabinets, sideboards, furniture walls, kitchen furniture Soviet production laminated films. The old lacquered surface of furniture boards from chipboard has long faded and lost its appeal, so the processing with the help of the film will significantly refresh the appearance. It is enough to buy adhesive film “on the water”, stock up on a stationery knife, ruler, spray, dry cloth and a place for cutting the film. With a napkin, gently squeeze out air bubbles, as when gluing Wallpaper. For the most persistent bubbles, the film can be pierced with a needle. After drying, installed the handle, fittings and returned the wardrobe and the door. 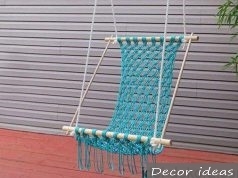 This method of alteration of old furniture will take a maximum of one day off. The easiest way to work with old lacquered furniture, to perform the alteration and restoration of the chest of drawers, coffee table or old chairs is much easier and more accessible than you can imagine. To work with old paint and varnish coatings, you only need to wash off the old varnish, polishing skin, high-quality varnish or paint, sometimes repair mixtures for veneered surfaces. It is necessary to make a reservation-only furniture made of solid wood or prefabricated structures lined with natural sawn veneer is subject to cardinal processing. Any variants of furniture made of chipboard can not be restored, the maximum that you can – is to paste over the film. First of all, it is necessary to carefully disassemble the piece of furniture, remove any remaining paint, varnish. The easiest way to remove the old varnish in three ways: Chemical flushing, most often a mixture of acetone, alcohol and solvent 647; Clean off with sandpaper; Heat with a Hairdryer and gently scrape with a sharp knife, then manually sanded with sandpaper. As a rule, old furniture for a long life are subjected to repeated staining, so the most difficult thing in such a rework is to carefully remove the old paint and varnish. If you do everything carefully, then the further part of the processing will be under the power of even a child. You will need to cover the wooden surface with varnish, best for red or ebony. In the restoration of countertops the most common defect is a chip on the edge of the polished surface. In former times, the defect was putty with acrylic paste and painted with alkyd enamel. It is clear that such processing is equivalent to the destruction of the table, so the old polishing is easier to restore a special tool. Often in the course of processing it is necessary to replace part of the old rotten or lost pieces of furniture with new parts. For example, new drawers can be made for an old chest or Cabinet. The parts looked old, we have awl to put points traces of the bark beetle and bronze brush mimic the signs and scrapes. After processing, the wood box is bleached and painted to match the old furniture. 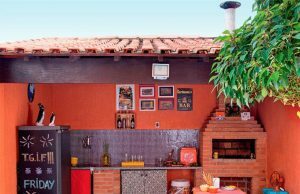 If you do not have the opportunity during the processing to choose the right coating, it is better not to paint the old furniture, and leave the natural texture of the purified wood. Sometimes in the course of processing it is not necessary to strive for the full authenticity of the restored instance, it is only by professionals. If the old furniture is in very bad condition, instead of unsuccessful processing is better to make of them an adapted version of the new furniture. For example, a very good idea is to remake the old chest of drawers in a new sofa. To do this, cut off the top part – the cover and the front part, leaving only the frame with legs. After the installation of the stand and laying a soft pillow gives a very nice sofa. The most successful examples of rework of old things Not everyone is able to Tinker with time-consuming cleaning, varnishing and polishing of wooden furniture. To simplify the processing process in two ways – to choose an unusual style for a new coating or to abandon the use of paints in General. Restorers, who are considered to be the legislators of style and rules in the processing of furniture, the worst solution is the usual coloring paints, no matter what, acrylic or expensive powder compositions. For example, old wooden furniture – a wardrobe or a chair with the style and beauty of lacquered wood, after painting turn into dull monochrome trash. With the exception of black and white lacquers. 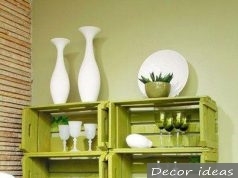 If you like painted furniture, use glossy, non-translucent white or black paints. This alteration will add style and spectacular view of old furniture. Sometimes to revive the space of the room and the interior need a few colors, in this case, a good solution would be painting, drawing on the countertop or the front part of the thematic drawings. This not only does not spoil the subject, but also make it original. However, the price of him as a rarity, a Genius can be called the option of remaking the old bedside tables with wall papers and painting. This product can be safely put up for auction of old things – demand and positive reviews are guaranteed. We should also mention a very special category of old furniture – chairs author’s work with elements of carving. If you still have such items, you know, they are worth to be recycled and be restored by the hands of the master. First, walnut chairs are very beautiful in any setting and are valued dearly. Secondly, any author’s furniture of the known master of the beginning of the last century can cost very good money. Often owners, starting with the recycling and recovery of one of the chair or the table, collect the entire headset refurbished furniture. Interestingly, the results of relatively simple processing every year to grow in price and value. It is clear that it is possible to restore and remake not only old objects from a tree. An ordinary office chair after a hauling can also become part of the antique situation. Conclusion restoration Of old furniture does not require special equipment or technology. This is the case when the main decoration of the table or the old chest is not the ideal shape or color, but the visible work invested by people in the manufacture and restoration of the object. 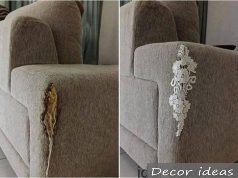 If you are lucky, and the furniture is preserved with minimal damage, it is best to leave the maximum number of original parts, paint, accessories.